She looks like a little Christmas ornament. L Voting. Thanks so much for your very lovely comment, like and fav, Adriana. Thanks so much, David and Carol. 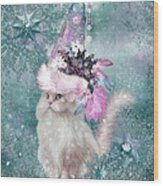 So glad you like this, Nina, and thanks very much for the feature on your group homepage. Soooooooo Beautiful. Love your work! Thank you very mucy, Saundra. 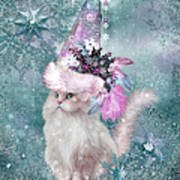 In a flurry of big snowflakes A furry white cat sat Wearing a very tall And very fancy Snowflake Santa Hat. 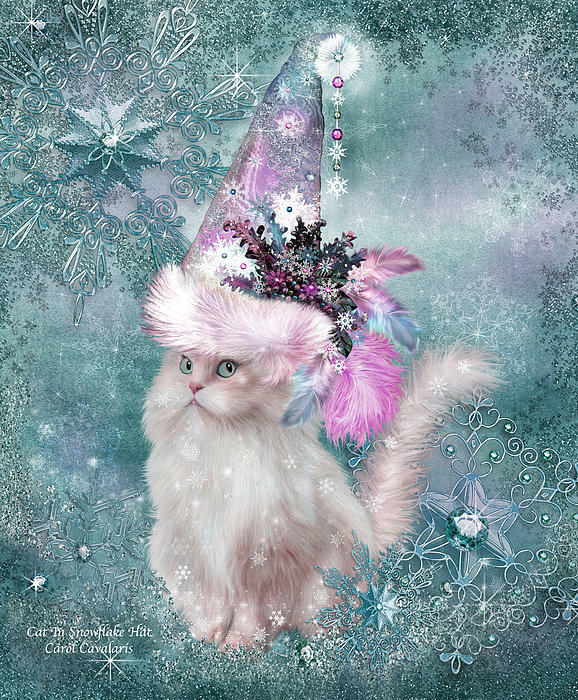 Cat In Snowflake Santa Hat prose by Carol Cavalaris. 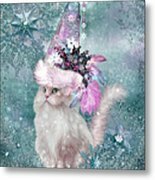 This whimsical artwork of a furry white cat wearing a fantastical Santa snowflake hat is from the Cats In Fancy Hats collection of art by Carol Cavalaris.